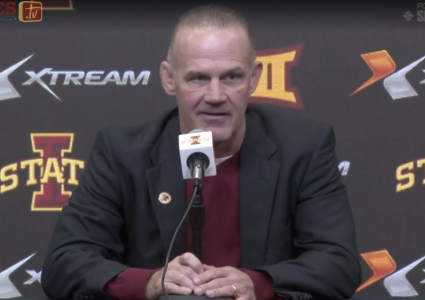 Ames— The Cyclones are ranked in the top-25 for the first time since 2016 coming in at No.23 in this week’s NWCA Coaches Poll. 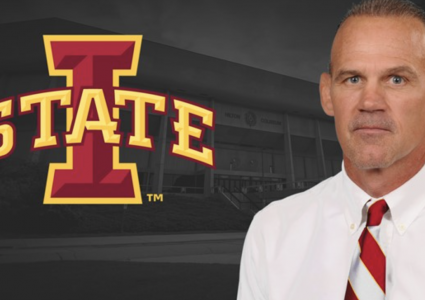 Kevin Dresser’s team had a successful weekend in Iowa City losing by only one point to No. 3 Iowa, 19-18. Some of the highlights of the dual were No. 14 Austin Gomez defeating No. 10 Austin DeSanto in a much-anticipated match-up. Sam Colbray also defeated No. 11 Cash Wilke at 184-pounds. On top of overall team rankings, a pair of individual wrestlers have cracked rankings for the first time this year. Ian Parker is now ranked 19 by InterMat and Flo and 16 by TrackWrestling. Colbray is ranked 18 by InterMat and Flo and 16 by TrackWrestling.